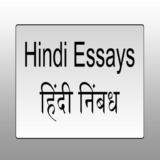 Hindi Essay on “Binu bhaya hot na Preet”, “बिनु भय होय न प्रीति” Complete Hindi Nibandh for Class 10, Class 12 and Graduation and other classes. Hindi Essay on “विरह प्रेम की जागृति गति है और सुषुप्ति मिलन है” Complete Hindi Nibandh for Class 10, Class 12 and Graduation and other classes. Hindi Essay on “Vahi Manushya he ki jo Manushya ke liye Mare”, “वही मनुष्य है कि जो मनुष्य के लिए मरे” Complete Hindi Nibandh for Class 10, Class 12 and Graduation. Hindi Essay on “Paradhin Supnehu Sukh Nahi”, “पराधीन सपनेहुँ सुख नाहीं Complete Hindi Nibandh for Class 10, Class 12 and Graduation and other classes. Hindi Essay on “Dheeraj Dharam mitra aru nari”, “धीरज धर्म मित्र अरु नारी” Complete Hindi Nibandh for Class 10, Class 12 and Graduation and other classes. Hindi Essay on “Kami Krodhi Lalachi inse Bhakti na Hoye”, “कामी, क्रोधी, लालची, इनसे भक्ति न होय” Complete Hindi Nibandh for Class 10, Class 12 and Graduation and other classes. Hindi Essay on “Baru Bhal Baas Narak Karitata”, “बरू भल बास नरक करिताता” Complete Hindi Nibandh for Class 10, Class 12 and Graduation and other classes.